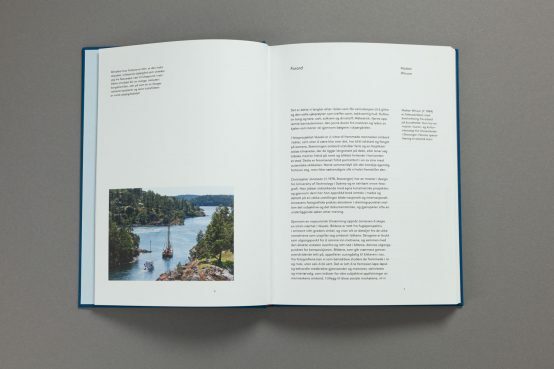 The book Vessels has come into being over a three-year period, during which the artist photographed intimate scenes of summer tourists boating along Norway’s southern coast. 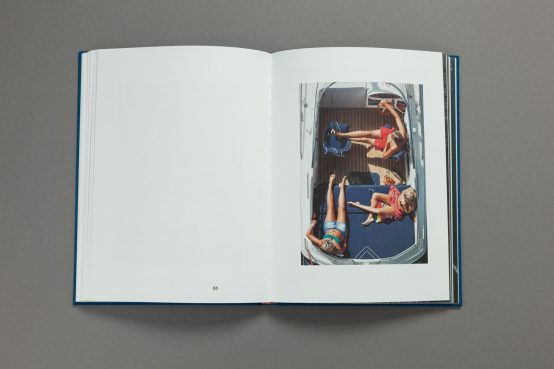 The images, shot from a birds-eye view, show candid tableaux of human behaviour and interaction. 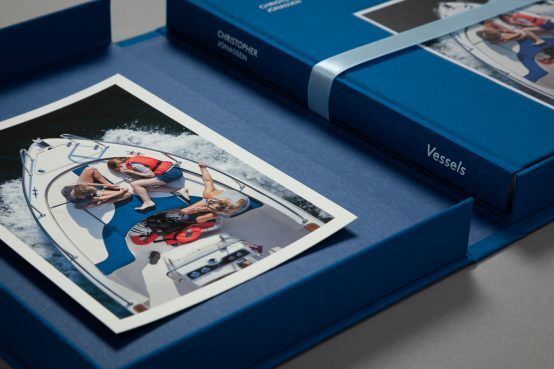 In a maritime packaging, the photographic series Vessels reveals more than the obvious. Through viewing anonymous people, a mirror is held up to ourselves, inevitably forcing us to reflect on our culture, values and existence. 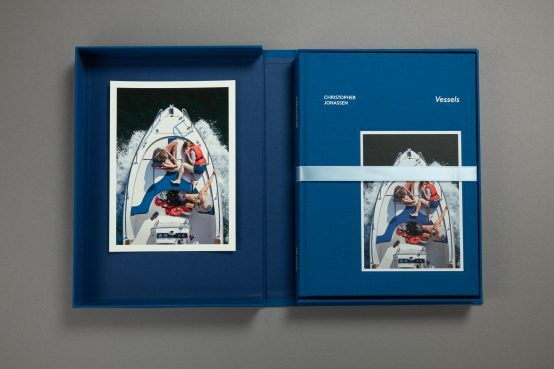 Boxed and limited edition version of the book «Vessels»: The box is hand bound with silver foil printing on the cover. 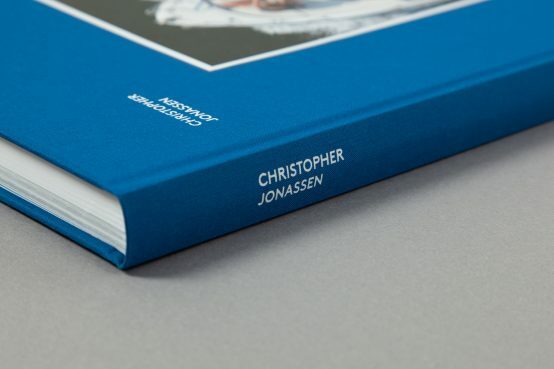 The book is hand signed and numbered to a limited edition of 50. 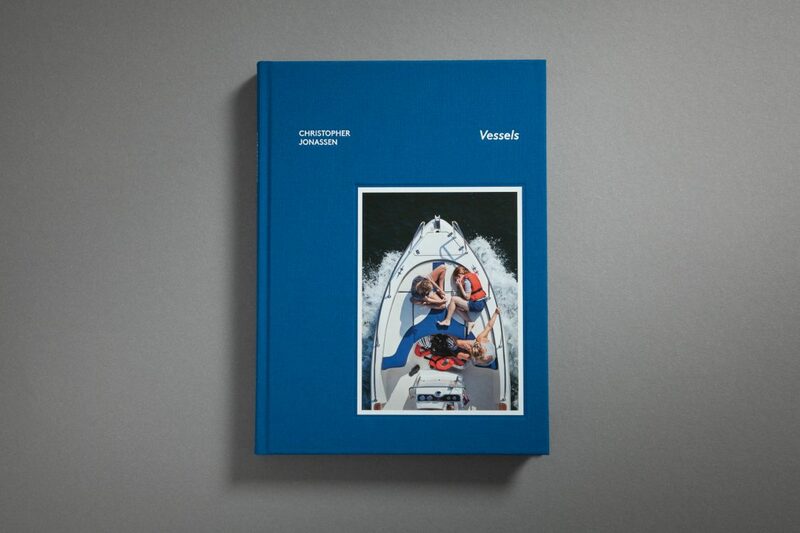 Inside you will find a limited edition print, which is printed on 300g cotton ultrasmooth fine art paper. 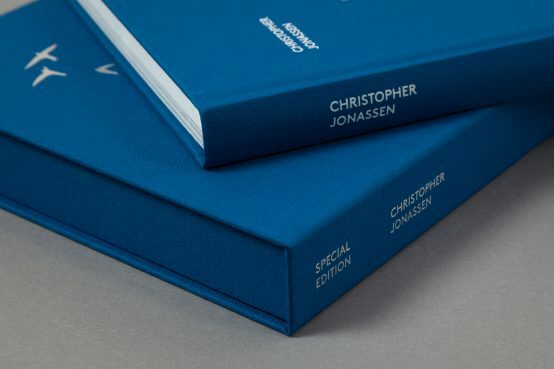 Perfect for the collector, or as a special gift.